Advance your career in Australia through the Career Internship programme. You can spend anywhere between 2 and 26 weeks in Australia gaining vital career experience in the field of your study while enjoying one of our many holiday packages. If you already have a contact in Australia who will provide you with an internship, YDP and our Australian partner will be your Australian visa sponsors and help you get to where you want to be. On the basis of a position being found independently, programmes run for a total of 52 weeks. Both interns and host companies benefit from our Internships in Australia. 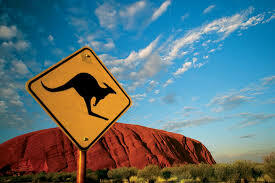 While enjoying one of our many overseas jobs, you can gain international experience and see Australia. If you want to work overseas, but Australia isn’t the country for you then consider working in America on one of our American internships. Remuneration for this programme is minimal, the main objective being practical work experience and academic credit. Some interns are however are paid a stipend which is anywhere between AUD $600 to AUD $900 per month when being an intern for 20 to 26 weeks and only for selected fields (business, IT, HR and marketing). For those on a 52 week paid internship programme (positions found independently), salary is determined either by the minimum Australian wage for that sector or by the employer offering the position. Once you have registered for the programme and paid your registration fee, your nearest YDP office will conduct an interview with you. Here not only will we make sure you are qualified for this programme, we will also give you the tools and manuals for writing not just a great CV, but a covering letter that will explain to your prospective employer that they don’t need to worry about the visa process as YDP and our Australian partner sponsors you on the proper visa. Then just like a prospective employee you will get out there (electronically) and find your perfect internship / job, and with the Australian economy doing very well and there being over 250 000 ex South Africans in Australia it’s actually not that hard to find a job. Once you have found a job our Australian partner will contact the employer to ensure the job is legitimate, your conditions of work and pay are in accordance with Australian Labour Law legislation, and that your training as an intern will take your career to the next step. Once all this paperwork is done, our Australian partner will apply for the visa for you, which in itself can take 3 months. However, once your visa is granted it will be sent to South Africa and all you have to do then is get it into your passport (by making an appointment with the Australian embassy), and then voila, book your ticket and you are on your way. Australia is a must visit! Check out the top 10 things to do!